The Bahamas provides individuals and institutions the ability to establish customized corporate structures tailored to the specific demands of their international business transactions, asset management and estate planning. The Bahamas provides individuals and institutions the ability to establish customized corporate structures tailored to the specific demands of their international business transactions, asset management and estate planning. These range from the flexibility of the International Business Company (IBC) to the sophisticated Segregated Accounts Company (SAC). This information has been updated. 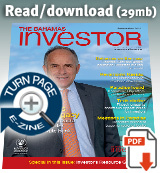 View/download the latest changes in the 2017 Investor’s Resource Guide. The IBC is a staple tool in creating structures to preserve and accumulate wealth. Its ability to adapt to the needs of the client is enhanced by the jurisdiction’s tax-neutral platform and the judicious corporate governance requirements. Legislation in The Bahamas also enables the creation of Limited Duration Companies (LDCs). An LDC is restricted to an existence of 30 years or less, to serve a clearly defined purpose. It could be structured as a partnership for tax purposes, allowing profits and losses to be attributed proportionally to individual members rather than to the company itself. Both the IBC and LDC benefit from tax exemptions for a period of years from normal fiscal measures in The Bahamas such as business licence fees and stamp duty. As with all entities and individuals in The Bahamas, they are not subject to income tax, capital gains, gift, estate, inheritance or succession taxes. While companies established under the Companies Act are used by both international and Bahamian investors, the IBC is the preferred vehicle. The IBC and LDC may transact business in The Bahamas or internationally. Depending on the nature of the product and market, the corporate structure could be enhanced by the use of a Segregated Accounts Company, an LDC or one Limited by Guarantee. In an increasingly global economy, entities that transact business in multiple jurisdictions value the importance of properly structured corporate affairs to take advantage of regional and multilateral trade opportunities, tax incentives and mitigation, transfer pricing and double taxation treaty enhancements. Consequently, creation of a permanent establishment in a tax-neutral jurisdiction such as The Bahamas is an integral part of strategic planning. Such planning may also extend to companies wishing to access international financing for operations in different parts of the world. The use of international corporate structures to coordinate debt and equity financing and bond issues has proven advantageous to both companies and investors when combined with trust settlements as part of a broader estate planning strategy. 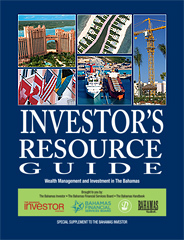 It is vitally important to the successful outcome of transactions involving international business and trade, financial and tax planning, estate planning, wealth management, and private trust or family offices that the correct corporate structure is created in an accommodating and well-regulated jurisdiction, such as The Bahamas. A comprehensive, Internet-based registration process has been introduced, making it fast and convenient to incorporate in The Bahamas. Companies are required to maintain a registered office and appoint a registered agent in The Bahamas. These service providers must be licensed as financial and corporate service providers. Shipping company. The IBC is an ideal structure to hold title to a ship. The Bahamas Ship Registry is ranked as the third largest in the world, and is the number one choice for the world’s leading cruise operators. Captive insurance company. Captive insurance companies are used to insure and reinsure the risks of subsidiaries and affiliated companies. Captives also provide access to reinsurance markets and, when established in a tax-neutral environment such as The Bahamas, benefit the accumulation of premium and investment income. Private trust company. The IBC, as a private trust company, assumes the role as trustee for one or more family-related trust settlements. It does not engage in any third-party business. Such a structure enables the settlor to select the management of the trust company and retain more control over the operations than would be allowed under normal corporate trustee arrangements. Family office. The family office concept uses the private trust company structure as a platform for the broader-based services to be provided for the family. Other applications. IBCs can include joint venture, patent and e-businesses. The IBC, although incorporated and domiciled in The Bahamas, is designed to facilitate the undertaking of legitimate business anywhere in the world. Strategic planning for business cycles is an essential element for any successful business. In The Bahamas we believe this principle is equally important for individuals and families.